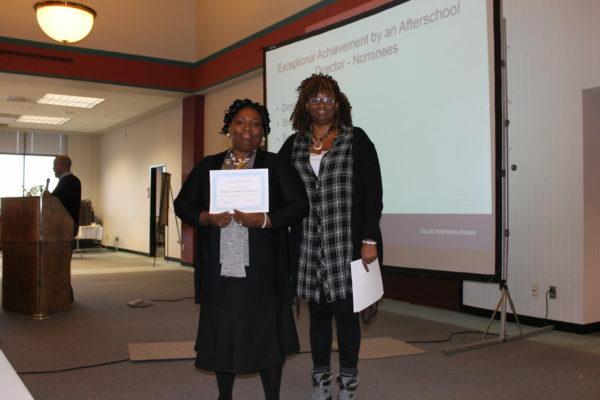 Collective for Youth started off the new year with a celebration presenting the first ever Afterschool Professionals Award event. Over 250 staff, friends and family were present to celebrate. All individuals who received awards were nominated by their peers which made the nominations that much more meaningful to the recipients.These awards recognize outstanding performance and achievement by individuals within Collective for Youth Afterschool Programs. Congratulations to all the nominees and winners! Collective for Youth, our partners and the youth are so fortunate to have individuals like you to help them thrive and grow!